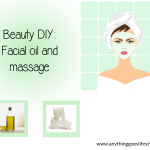 Beauty DIY: Make your own moisturising avocado face mask. We’ve all heard about avocado, whether it’s spread on toast or just your favourite ingredient in guacamole. But it’s not just a yummy snack, avocado has hundreds of benefits for your skin by not only eating and drinking it but by applying it straight onto your face too. Avocado can be used as an anti-aging remedy due to the antioxidants in the fruit. These help to detoxify your body and reduce wrinkles as they help make your skin look more supple and plump. Avocado will also provide you with healthy skin and a glowing complexion as they are rich in vitamins, which helps to re-invigorate dull and dry skin from the inside out. The miraculous fruit is able to treat skin conditions such as dry and itchy skin and protect it from the harsh factors of the day. The healthy fats and oils are able to moisturise your skin deeply and create a protective barrier around skin cells. Its anti-inflammatory properties also help to reduce any inflammation to the skin to reduce blotchiness and redness. The superfood also works as a natural sunscreen and is able to sooth sunburn. Its oil is able to protect skin against the harmful UVA and UVB rays, which damage our skin on both the inside and the outside. Its healing properties will restore the damaged cells that cause sunburn by providing them with moisture. Make your own avocado face mask to moisturise, nourish, hydrate and refresh your skin. Do this 2-3 times a week to create a difference to your skin by making it fresher and softer.